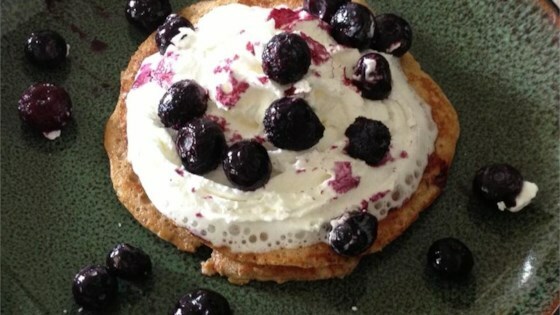 "Great low carb alternative to pancakes. Top with your favorite flavor of sugar-free syrup." In a bowl, mash the cream cheese with beaten eggs, about 1 teaspoon at a time at first, until the mixture is smooth and free of lumps. Beat in the cinnamon and sugar-free syrup. Melt the butter in a nonstick skillet over medium heat. When the butter has stopped foaming, reduce heat to medium-low, and pour in several tablespoons of the batter. Swirl to coat the bottom of the skillet. Allow to cook until set, about 4 minutes on the first side; flip the crepe with a spatula and cook the other side until the crepe shows small browned spots, 1 to 2 more minutes. We didn't care for these. Felt they were too eggy. These are great but I have a tip that I couldn't keep to myself! if you put a tight fitting lid on during the cooking process,the mixture "puffs" up a little!